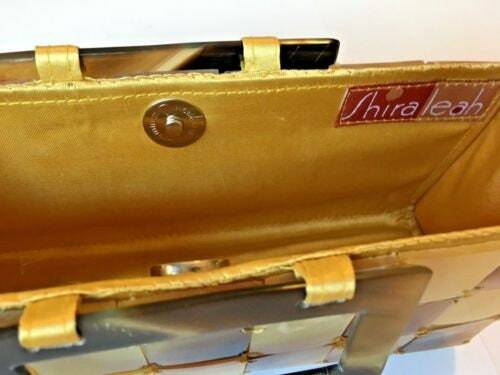 Shades of blonde Lucite panel bag by Shiraleah. Tortoise shell finish. This is a more petite version of our other Lucite panel bags. 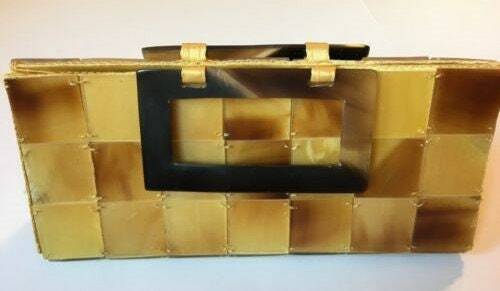 Adorable evening bag that would really look great with jeans and heels! 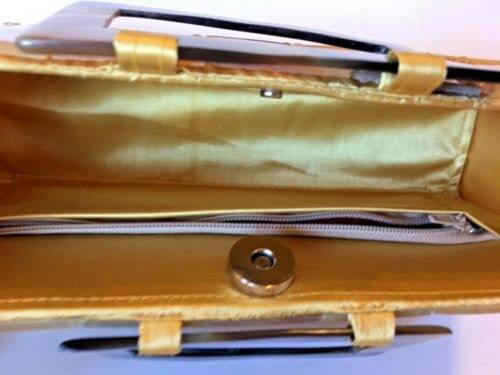 Matching clean yellow satin interior with a zippered pocket. Magnetic closure with a snap open spring. Double tortoise brown color handles. 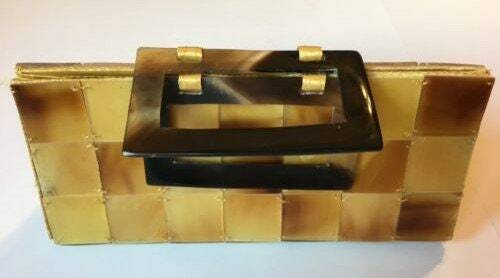 Dimensions: 8.5 inches long x 3.5 inches tall x 2 inches wide on the bottom.